We are committed to providing you with the best coverage at an affordable rate so you are protected no matter where the road might take you. Some insurance companies offer low rates, but not personal service. Others provide an agent, but you pay for it with higher premiums. Why should you have to choose one or the other? Wouldn’t it be great to get both? People trust us with their most prized possessions because we get it. It’s all about memories and dreams: the ’69 Camaro you’d wanted since you were a kid. The Chris Craft boat you inherited from your granddad. The vintage Triumph motorcycle you used to impress your future wife. We protect the physical connections to the best moments in life. We are an insurance company that cares. Travelers takes on the risk and provides the coverage you need to protect the things that are important to you – your home, your car, your valuables and your business – so you don’t have to worry. We have been around for more than 160 years and have earned a reputation as one of the best property casualty insurers in the industry because we take care of our customers. Our expertise and focus on innovation have made us a leader in personal, business and specialty insurance and the only property casualty company in the Dow Jones Industrial Average. Every day, our approximately 30,000 employees and more than 20,000 independent agents and brokers in the United States, Canada, the United Kingdom, Ireland and Brazil help provide peace of mind so our customers can reach higher and achieve more. Chubb has more than $160 billion in assets and $35 billion of gross premiums written in 2016. Chubb’s core operating insurance companies maintain financial strength ratings of AA from Standard & Poor’s and A++ from A.M. Best. Pacific Specialty Insurance Company (PSIC) – The flagship of the McGraw Group of Affiliated Companies is recognized as an industry leader in motorcycle and personal watercraft coverage. PSIC also offers automotive, homeowners, dwelling fire, boat, motor home, mobile home and commercial products, and has become the “one spot” independent brokers and agents can source all their clients’ coverage needs. Worth Ave. Group specializes in insuring laptops, iPhones, iPads and other electronic devices. For over 40 years, Worth Ave. Group and its affiliates have provided a sense of security for thousands of individuals nationwide. Our low deductibles and affordable premiums make our product attractive to all individuals who own laptops/desktops, cameras, gaming equipment, cell phones and more. Everything we do acknowledges the needs of busy customers who are cost-conscious and increasingly savvy about auto insurance and good service. We’re here for you 24/7, online and by phone. We can provide quotes, update your policy, even answer “what if” questions if that’s what you need. From auto quotes in about 6 minutes to our superior claims service, we find new ways to show you that we respect your time. People choose Progressive for car insurance for a number of reasons. They save money. They like how they’re treated. They get rewarded for being a customer, AND 9 in 10 would recommend Progressive to friends and family. Our mission is to improve the health of the people we serve. At Anthem, we believe the best health care coverage can actually help people stay healthy. Baja Bound Mexican Insurance Services, Inc. has been in business selling Mexican insurance on the border for over 14 years. In 1999, the first version of the Bajabound.com web site was launched. At that time we saw the potential to make Mexican insurance an easy, convenient thing to purchase at home or in the office in a matter of minutes. 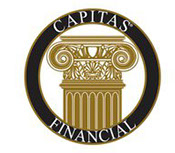 Capitas Financial, Inc. is a life insurance brokerage company that operates at both the national and local levels, offering a superior portfolio of insurance products and services, a state-of-the-art case management system and an extensive national account market. Capitas has more than 165 sales professionals working throughout the United States and Puerto Rico. At SportUnderwriters, we believe that every risk is worth exploring. We have the widest range of products out there, and we are expanding all the time. We want you to be secure in knowing that your clients are protected no matter how complex their operations become. Our current products are listed below, call if you don’t see your specific needs. In 1998, Abacus launched its internet initiative of becoming a Managing General Agent for specialty insurance products that are distributed entirely online. Through the proprietary Abacus platform, brokers access specialty programs from top-tiered insurance companies. Lines and coverages from different carriers are assembled into a single integrated quote. The Abacus platform performs all aspects of the insurance transaction including quoting, order placement, policy issuance and endorsing. A personal umbrella provides an additional layer of liability coverage above and beyond the liability limit in auto and homeowner policies. Coverage starts at $1 million and goes up from there. The personal umbrella policy is extremely undersold. The vast majority of people with personal lines exposures don’t have an umbrella policy but they should, as it is one of the most inexpensive coverages available. An umbrella policy with $1 million of liability coverage can be had for around $200 dollars or less per year. Most personal umbrella policies include an expert legal team on retainer and pay for legal defense at their own expense outside of policy limits to defend the insured and negotiate a fair settlement. An insured doesn’t need to be a millionaire to have a $1 million personal umbrella policy. They don’t need to own a home, be married, have kids or be a certain age to have one. If the insured drives a car, crosses a street or has people over to their home (either rented or owned), they need this coverage. Even if someone is trespassing on your property, you could be liable for any injuries. Need help choosing the right company? Give us a call or visit our office and we’d be happy to assist!